The premises comprise of an area of land which is currently used for commercial purposes with frontage to Mansfield Road. Within the land is a traditionally constructed storage warehouse and on the frontage of the site is a terrace of four residential properties, two of which are currently Let on Assured Shorthold Tenancy Agreements. We understand that the premises are currently utilised for the storage of commercial vehicles. The site may be suitable for alternative uses (subject to planning). Further information is available on request from the Agents. Strictly by appointment only with the Sole Agents, Musson Liggins Limited. 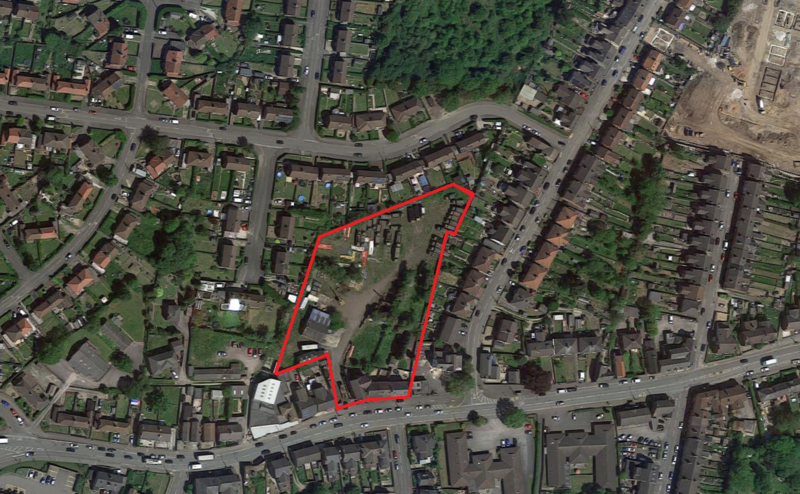 The site and buildings are situated with frontage to Mansfield Road in Alfreton with the land being located behind numbers 45-51. Alfreton itself is a well-recognised suburb being located in close proximity to the A38 which in turn leads to Junction 28 of the M1 to the east and links to Derby City Centre to the south and Chesterfield to the north. The site is in close proximity to Alfreton Town Centre which is a busy urban location with a number of national chains along with banks/building societies together with other local amenities.